We, M. I. E. Fibrotech & Engineering Pvt Ltd., established in the year 2002, are among the prominent manufacturers, suppliers and traders of a wide range of the finest quality of Storage Tanks and Allied Industrial Equipment. The product range offered by us is inclusive of Storage Tanks, Reaction Vessels and Vacuum Receivers. For engineering the offered range of storage vessels and allied industrial equipment in adherence to the industry set norms, our professionals make use of latest tools and equipment. 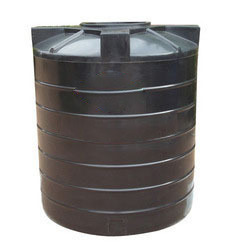 Owing to their thermal stability, ability to bear harsh environment, high anti-corrosive property and durable construction, these storage vessels are highly demanded in chemical, oil & gas and food processing unit. With the aid large production capacity, we have been able to meet the bulk demands in the most efficient manner. Being a quality conscious name, we assure that the premium quality of the offered range is never compromised at our end. In addition to this, we assure timely delivery of the offered range of storage tanks and allied industrial equipment at the customers’ end.